Menulux Waiter is a mobile order handset application that works on smartphones and tablets. You can download the app from the Google Play Store. Menulux Waiter hand-held terminal app allows you to take orders by smartphones and tablets. Orders are instantly transferred to the mobile POS system, and sent to the kitchen printer. 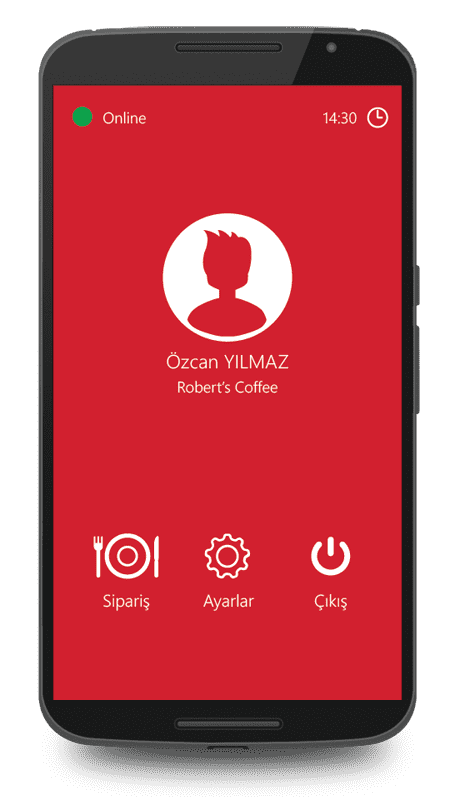 Menulux Waiter is a mobile ordering system solution that allows waiters to order with smartphones and tablets at restaurants, cafes, bakeries, coffee shops and hotels. 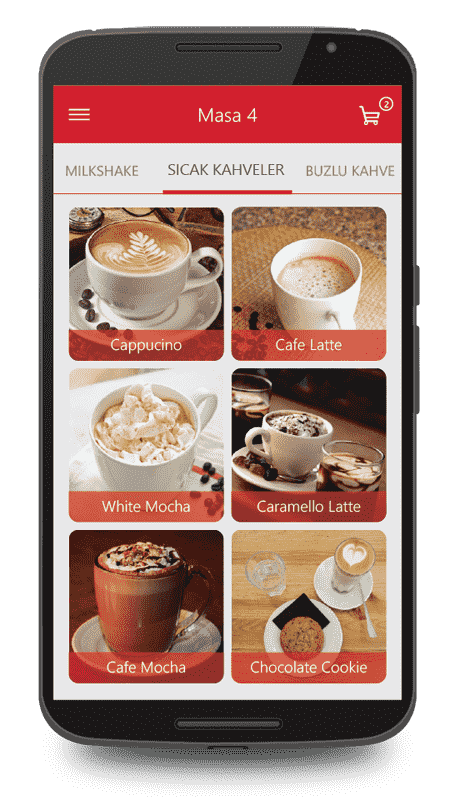 Menulux offers an intelligent waiter terminal application that allows your waiters to easily and quickly receive table orders via smartphones and tablets. Menulux Waiter increases your operating speed by instantly transferring orders to the Menulux POS system via the wireless network. 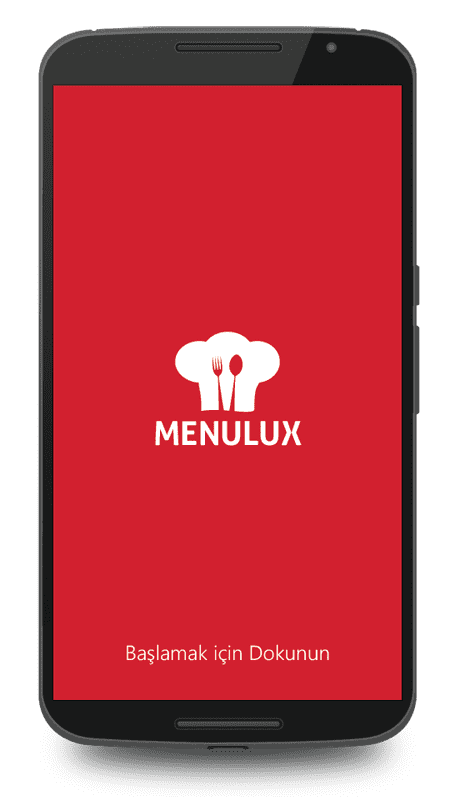 Menulux Waiter is developed with user-friendly visual designs and customer experiences, so your waiters can use the application quickly and easily without any training. New features developed by Menulux are instantly available with free application updates, so you always stay up-to-date. In the Menulux Waiter application you can set authorization and password for each staff member. Each personnel uses the application by entering his/her password and perform only transactions that s/he has authority. Orders received via the Menulux Waiter application will be registered with the relevant personnel ID. You’ll know the hours your staff has worked, and in-depth shift reports show who’s selling what and help you identify your star performers. 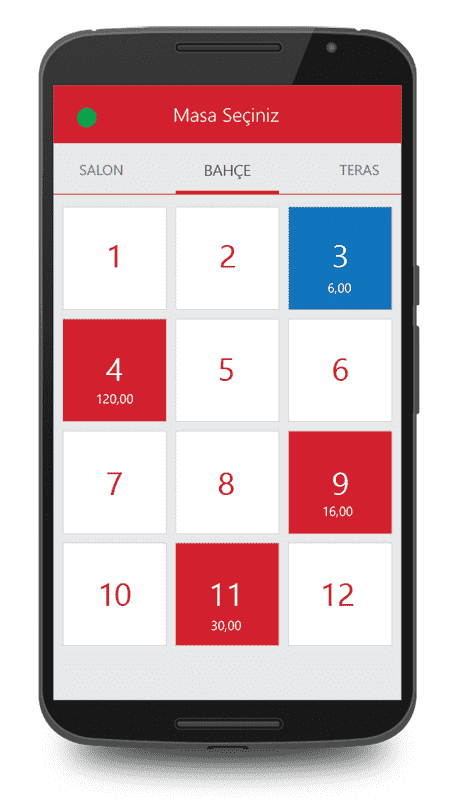 With Menulux Waiter application your time loss and mistakes in your business will be avoided and your operating speed will increase automatically. With all these advantages, you can save on your staff expenses. When you begin to take an order, you must first select the correct table. Menulux Waiter provides the floor plan in visual form, allowing you to quickly and easily navigate between the floors and the tables with your fingertips. To start taking orders with the Menulux Waiter, you just need to select a table and go to the order screen. You can also view and print previous orders for the selected table. You can choose a table on the table screen and move it to another table with one touch. You can also combine tables' orders. You can view the total amount to process a payment, and you can view the orders on product basis. Menulux Waiter increases service speed by providing easy and quick navigation between categories and products. Easily add items to order list by touching products with fingertips. If available choose product options to customize the order. Long-tap the product to take multiple or price based order, and you can also activate add notes option to write down customers’ additional requests. First you need to activate pre-order mode, and then you can use order groups feature to separate orders for each customer. Open the table order list, and view and edit orders easily. Transfer the orders to the Menulux POS system by touching the Send button and order is automatically sent to kitchen printer as well. Start trying Menulux waiter hand-held terminal and mobile ordering system app by downloading from Google Play store. Thanks to the Menulux POS system and digital menu software that we have been using for many years, we are able to take the orders much easier and faster, and we do all our work safely. Menulux has been a real solution partner for us by offering the most convenient restaurant automation solution to our branches. We realized a business partnership that we thought would grow together. We provide fast and error-free service in our cafe with intensive customer circulation through Menulux POS system. We recommend Menulux to all businesses due to its uninterrupted support and quality services. Since the day we started using Menulux restaurant automation software, we have been taking orders very quickly and smoothly. We can easily track our progress. We are very pleased with the Menulux POS systems.